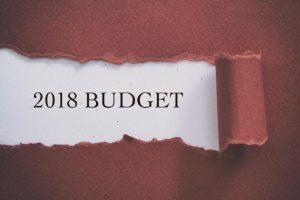 November’s Budget announcement needs to address a number of key concerns for the fleet industry to alleviate ongoing uncertainty. That’s according to industry publication Fleet News, which has just highlighted the most worrying issues affecting fleets in its ‘Fleet Budget Manifesto 2018’. The magazine stresses the likelihood of declining tax revenue as people opt for alternative forms of mobility over company car numbers. It claims that chancellor of the exchequer Philip Hammond can ‘minimise the exodus’ by realigning benefit in kind (BIK) to take into consideration rising CO2 emissions caused by the new WLTP test, and providing clarity and foresight over future BIK levels, allowing drivers and companies to plan ahead with certainty. It also calls for the government to consider an alternative to BIK ahead of tax revenues possibly plummeting. Another key point in the manifesto is a review of the four per cent diesel supplement, which is slammed as being unfair to British business when diesel is the fuel type that best meets its needs. In his foreword to the fleet manifesto, Stephen Briers, editor-in-chief at Fleet News, wrote: ‘It has become a common refrain: “We don’t know how to advise our company on future policy” – these are unprecedented times for fleet decision-makers. "A series of issues have come together to create a perfect storm, causing confusion and uncertainty among those responsible for deciding company car strategies as well as company car drivers themselves." He added that Budget 2018 needs to provide clarity to counter the ongoing uncertainty over Brexit, which has affected vehicle supply and contract terms for some fleets. Air quality regulations, salary sacrifice apportionment rules and mobility/urban transport policies also require the chancellor’s urgent attention, the manifesto goes on to say.